Ask anyone you know and he or she has probably heard of the book and the movie, “The Secret,” and the law of attraction as well. The law of attraction simply means that your thoughts create your life. If you think negative thoughts, you draw negative occurrences into your life and if you think positive thoughts, you will surely magnetize positive happenings into your life. Of course, on a deeper level, the law of attraction entails a bit more. Life is full of circumstances, both good and bad. There are always going to be occurrences in life that we would rather not have to experience. However, the law of attraction says that you have the power to increase the positive and minimize the negative. There are several ways of the law of attraction and how it works. It always begins with a thought and ends with a result. 1. Your Thoughts Create Your Life. In order to properly utilize the law of attraction, you need to be clear on what you want. It is said that the universe is the ultimate responder. What you ask for is what you will receive and what you think, you will create. It is imperative that you are focused and clear about your intention. If you do not know what it is that you want, then the universe cannot deliver your desire to you. Once you are in a relaxed state of mind, have focus, and you are clear on your intended outcome, then send your intention out to the universe. In order to set your intention, you must feel the experience in your mind and it must occur in the present tense. See yourself in that position, with that person, in that scenario. Feel the excitement or the joy or whatever emotions you can conjure up. Put yourself in the moment of fulfillment and make it in the now. 4. Be Thankful for the Intended Outcome. Walk around confidently knowing that your intention is on its way. Be thankful beforehand for the intended outcome and even go as far as being so excited that you cannot wait to receive what you have asked for. Before you know it, the more you practice, feel, and believe, the more joy you will bring into your life. 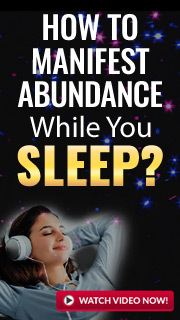 If you would like an extra boost to using the Law of Attraction in your life, CLICK HERE to get FREE guided meditation mp3 audio files to download and use for your meditation.